Pebble is gone. 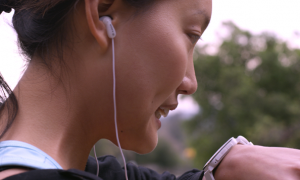 Fitbit acquired the company, and several critical operations have shut down. Namely, the Pebble 2, Pebble Time 2, and the Pebble Core GPS are dead and are no longer in production. Some Pebble 2 backers already received their watches, and we’ll get to more of that in a bit. But if your pre-order hasn’t shipped, the final verdict is it’s not coming. We did explain in a previous post what this news meant for Pebble owners, but we’d like to go into more detail here. If you own a Pebble and you’re wondering what all this means for you, keep reading. First Things First: Are Pebble Owners Screwed? Since the news, several features appeared claiming Pebble owners “are screwed” or will soon be forgotten. While it is unfortunate the company folded, and some of the things happening are shady – that doesn’t mean you’re screwed. Keep in mind, we’re not defending the company or anything that’s happened. We’re pointing out that it’s not all doom and gloom as everyone would have you believe. So, are you screwed or not? 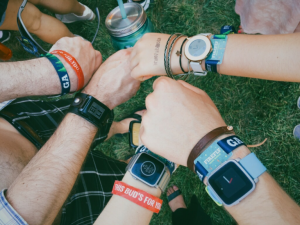 To answer this question, it really depends on what Pebble watch you’ve invested your money in. If you pre-ordered the Pebble 2, Pebble Time 2, or Pebble Core GPS and have not received your device, then you will be issued a refund. Since all this news started churning around, the only device in that list that did see some recent shipments was the Pebble 2. Sadly, if you already have your Pebble 2, then you cannot get a refund. The exception to this rule is if you purchased a Pebble from a retail store – like Target – because you can simply return it there. There’s nothing wrong with deciding to no longer be one of the many Pebble owners out there, especially with the recent news. If you own one of the older Pebble models, like the original, Pebble Time, or any of the Steel variants, then no refunds are available. Even if you purchased one of those devices recently, you will not see reimbursement. Many feel this is a dishonest tactic, and while we are not inclined to agree – or disagree – we’ll point out here that it doesn’t really matter. What happened has happened, and nothing will change it. Will Pebble Smartwatches Stop Working? Now to the important question, will your Pebble still work as intended? As of now, nothing is going away. You will still be able to download and use the Pebble companion app, and you will still be able to pair the watches with your smartphone. 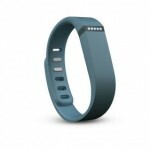 Whether the app and marketplace remain active is up to Fitbit. They could just shut it down. But if they do, we’ll bet third-parties will step up and support these devices long into the future. For the layman, that is not acceptable. So, it’s definitely understood if you want to jump ship and get rid of your Pebble device. For everyone else, it’s just business as usual. 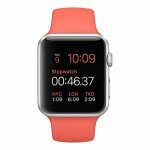 Private developers may continue to develop apps and watchfaces for the devices too. Installing custom content may be more difficult but it won’t disappear. 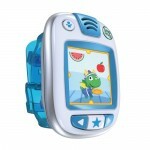 As for the watches, they will continue to display time and basic functions should continue to operate. 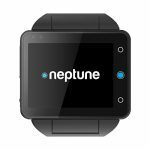 You may lose a few features here and there, namely when it comes to online support, but for the most part, they will still operate as “smart” watches. That last part has people freaking out, and it’s certainly understandable. The most egregious part of all this is that the company will no longer “release regular software updates or new Pebble features”. So, any bugs or issues that still exist, will remain forever. And customers can no longer expect software updates for the platform. But all existing devices should still operate as-is, for the most part. Your OG Pebble is not going to suddenly implode and stop showing the time, for example. This is where things get screwy. Pebble will no longer be honoring warranties for any of their products, and Fitbit is under no obligation to do so either. So, if you break your Pebble watch or it stops working altogether, you’re out of luck. If you recently purchased a Pebble you have every right to be angry. But that doesn’t change the fact that you will need to be more careful with your device going forward. The only way to replace a Pebble now – if it stops working – is to buy a new one. That’s only going to be possible for as long as they are on the market. Retail stores will likely run out of stock soon if they haven’t already. 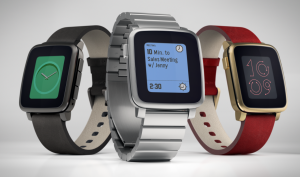 And Pebble will only be honoring refunds and orders that completed before December 7, 2016. Going forward, you will no longer be able to purchase any Pebble products. The stock that’s in the wild now, is it. According to Pebble – and Fitbit – they are currently “working to reduce Pebble’s reliance on cloud services, letting all Pebble models stay active long into the future”. There are no promises or guarantees, sadly, but this does imply that the company will at least attempt to keep these devices operational. Again, when we say “operational” we are referring simply to the cloud and online services. All the Pebble watches should continue to operate as-is, for the most part. Even if this doesn’t happen. Third party developers – namely people who still own Pebble devices – will probably find a way to continue updating the platform in some form or another – whether that be through apps, custom watchfaces, or even unofficial software updates. We’ve seen this happen with a lot of devices over the years. The XDA-Developers Forum is full of threads that are dedicated to keeping devices alive, even after official support has ended. We certainly wouldn’t recommend purchasing a Pebble right this moment if you don’t already own one, for obvious reasons. But if you already have a Pebble, you might as well hold on to it. Can we make any guarantees or promises? No, absolutely not, so in the end, it’s up to you how you approach this. You can always try to sell your Pebble secondhand if you don’t want to deal with it. For those affected negatively by this news, we offer our condolences, and hope that Fitbit – or Pebble – will do right by you.